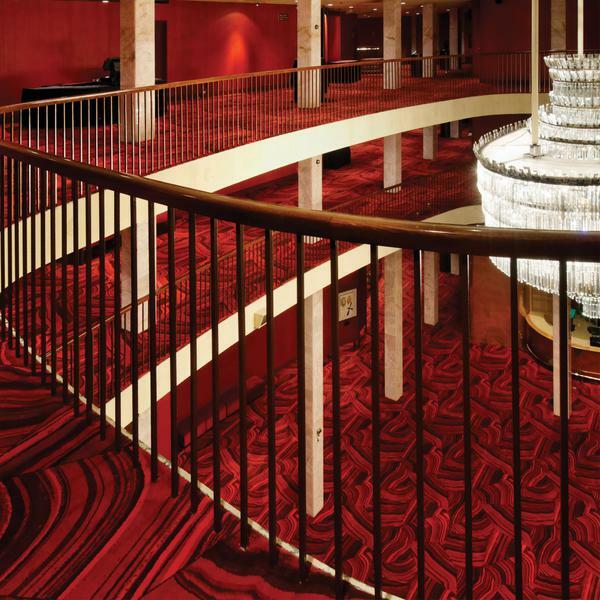 Opened in 1965, the 2,967 seated Civic Theatre is San Diego’s largest and most highly attended performing arts venue. The Civic Theatre hosts the world’s finest talents in the fields of opera, music, dance, comedy, and Broadway. 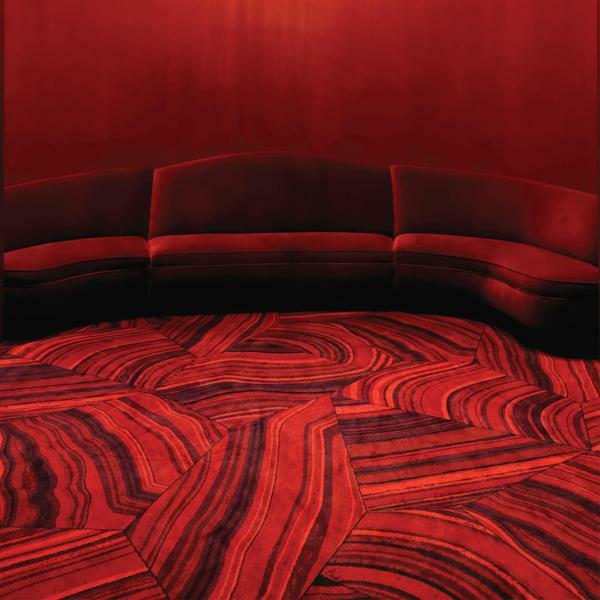 Brintons was approached by design firm JM Von Graven on this project as they were looking for a carpet that would look visually stunning but also perform over a period of many years to come. The inspiration for the design came from a malachite stone and our ability to digitally render photographic images of malachites were used in creating the final pattern. The final result was a 6’ x 6’ half drop pattern that captured a number of different malachite stone images collaged together to make the overall repeat. The repeat was half dropped to give the pattern a more free flowing feel and both Brintons and the designer worked through many 2D flooded in renderings to ensure the pattern had the correct "flow". We were fortunate to have the combination of this custom carpet design, the carpet material and workmanship, and its installation. It exceeded our expectations and generated rave reviews from our users and patrons. 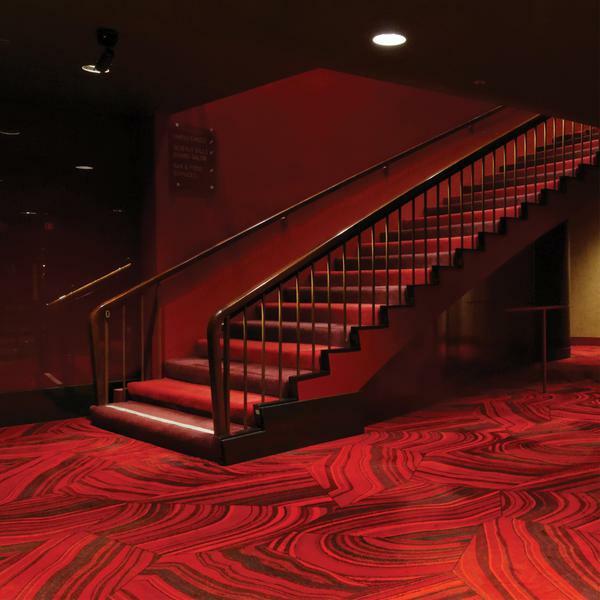 With over 300,000 individuals attending performances each year, we needed a carpet that looks good, will hold up, and adds to the appearance of our theatre.